29 years ago tonight, on Monday, February 1, 1982 “Late Night with David Letterman” premiered on NBC. 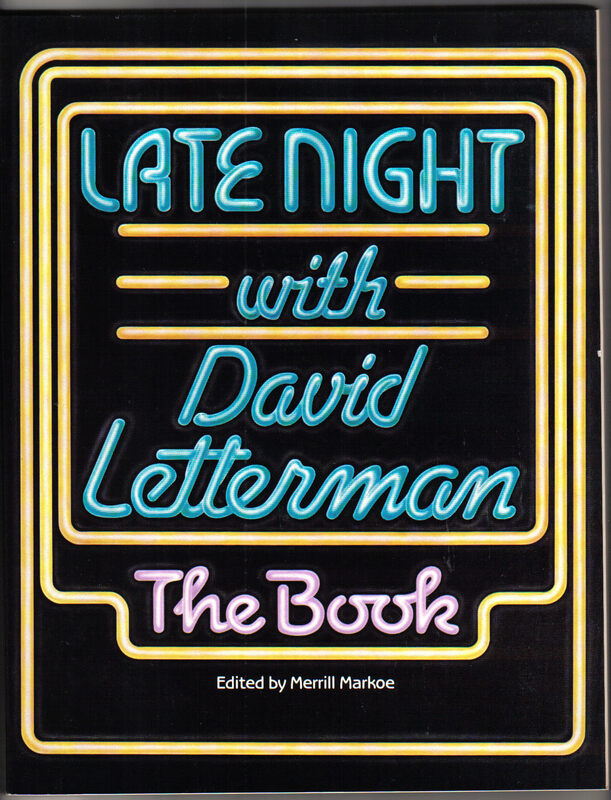 Late Night with David Letterman: The Book was edited by Merrill Markoe, then Dave’s longtime girlfriend. It was published by Villard Books in 1985. David Letterman, a former weatherman from Indianapolis, had moved to Los Angeles in 1975 to try his hand at the big time. In just seven years he had succeeded in a major way. Of course, like most comedians of his era Letterman’s real goal was to host “The Tonight Show.” But “Late Night” seemed like a huge step toward eventually reaching that goal. TV audiences might have remembered Dave’s last TV show, a morning show on NBC called “The David Letterman Show.” It was clear that NBC executives were impressed with his talent and wanted to find a spot to expose it. However, Dave’s sense of humor just didn’t seem to fit with daytime audiences and the show, though critically acclaimed lasted just 4 months. 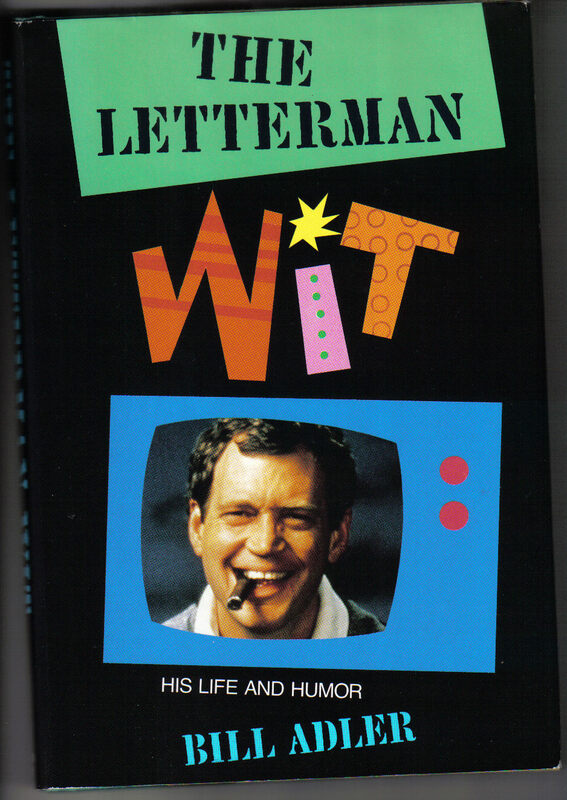 The Letterman Wit by Bill Adler, who I interviewed about Letterman in 1994. I personally had predicted greatness for Letterman years earlier. In November 1978 my family went to New Hampshire to celebrate my Grandmother’s 75th birthday during the week of Thanksgiving. While there I watched “The Tonight Show Starring Johnny Carson” and saw a new standup comedian making his first appearance on the show… his name? David Letterman. At the time, there was the usual speculation about who might replace Johnny Carson if he left “The Tonight Show.” All the entertainers mentioned as potential successors had their strong points and their drawbacks. When I saw David Letterman that night I saw several characteristics that made me think that someday he might be the one. First, he was Midwestern. In the late 1970s network executives still liked white bread hosts from middle America – no one too ethnic. Letterman also looked good in a jacket and tie. Comedian David Brenner, who was considered a potential replacement for Carson, always wore an open collar, which was popularat the time. 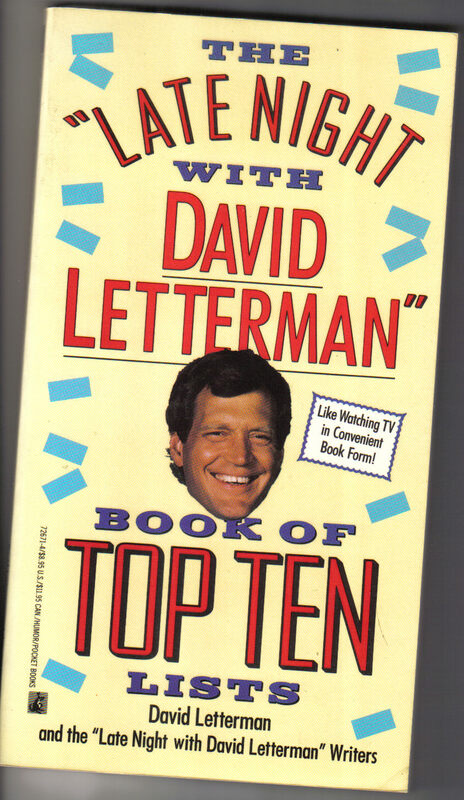 The “Late Night with David Letterman” Book of Top Ten Lists was published by Pocket Books in 1990. Succeeding Johnny Carson was years away, but the “king of late night” did take an obvious liking to the new kid and Letterman became a frequent guest on “Tonight.” He also became a frequent guest host. Once NBC signed him to a development deal they tried to find the right place for him. The morning timeslot hadn’t worked out, so they had an idea. 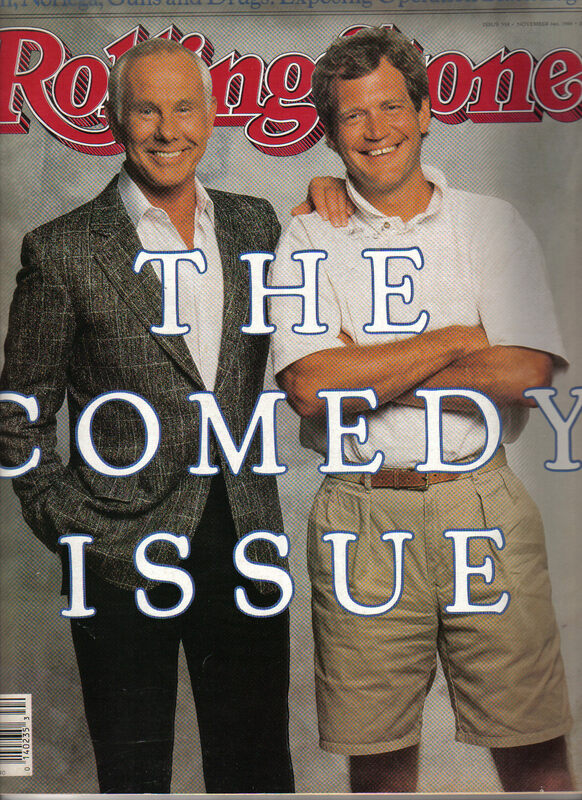 Johnny Carson with “his favorite,” David Letterman, on the cover of Rolling Stone’s “Comedy Issue” November 3, 1988. Most readers of this blog know the rest. “Late Night” became a huge hit and Letterman became a huge star. And while he didn’t ascend to host “The Tonight Show,” we all know he was Carson’s choice for the job. And that, I think, is a nice consolation prize. 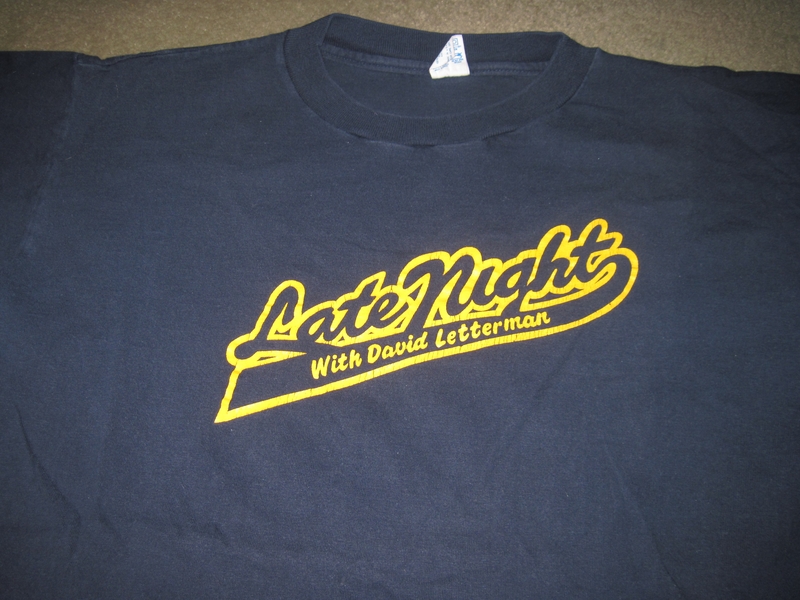 “Late Night with David Letterman” broadcast more than 1800 new episodes and ran until June 25, 1993. That’s when Dave left NBC and brought his show to CBS to compete against new “Tonight” host Jay Leno. 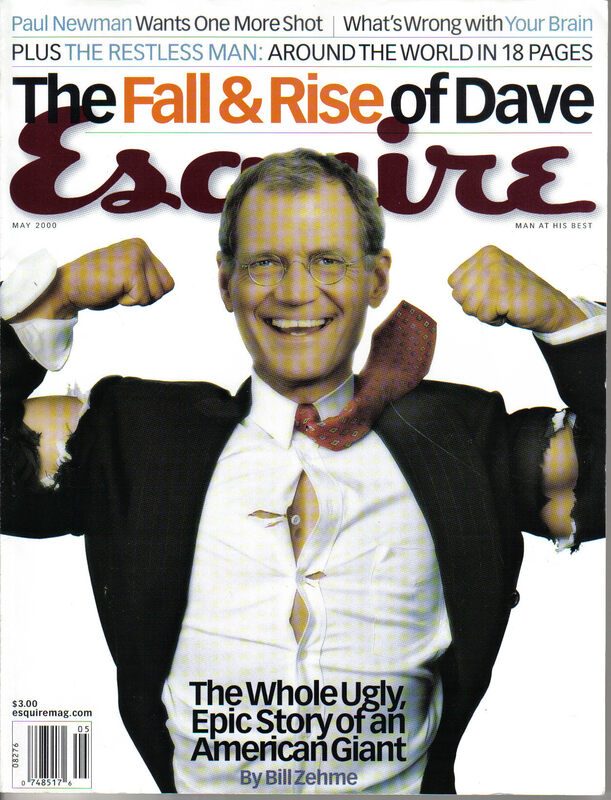 Esquire Magazine, May 2000 – Cover Story: The Fall & Rise of Dave. So “Late Night with David Letterman” lives on. Only now it’s called “Late Show with David Letterman.” Dave’s CBS show premiered on August 30, 1993 and continues today after more than 3500 episodes. David Letterman is right when he says there will never be another Johnny Carson. But I think the closest we’ll ever come is the true heir apparent, David Letterman himself.